This book talks about the early life of the American automotive industrialist who founded the Ford Motor Company and pioneered in assembly-line methods of mass production. This story of begins with Ford's early years on his family's farm. 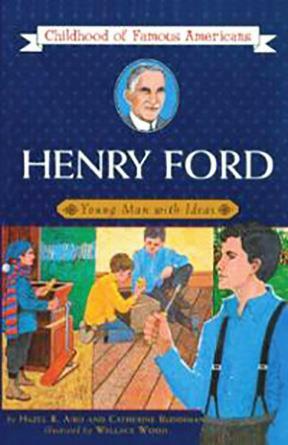 Many incidents in this book are based on “Memories of My Brother Henry Ford” by Margaret Ford Ruddiman published in September, 1953 issue of Michigan History, by the Michigan Historical Commission. The “Childhood of Famous Americans” series is one of the most popular series ever published for young Americans, these classics of childhood have been praised alike by parents, teachers, and librarians. These lively, inspiring, believable biographies sweep today's young readers right into history. 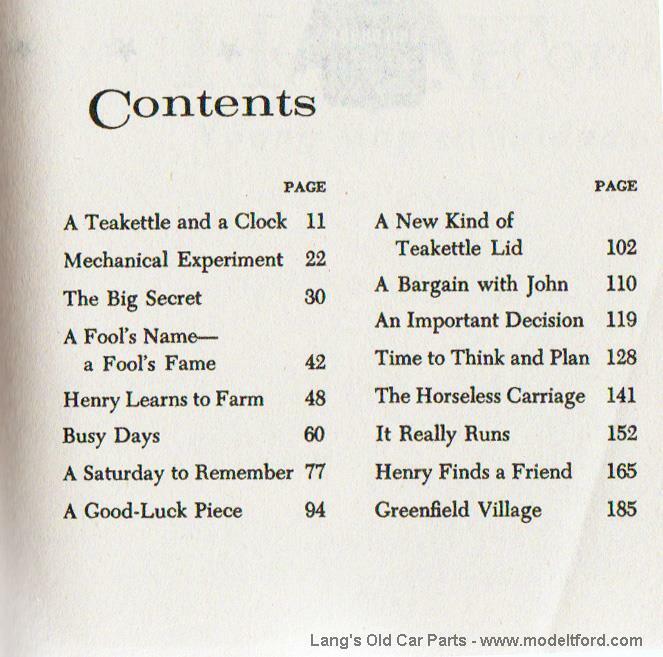 Paperback, 192 pages, black and white, Suggested age range – 8-14 years. 5.25"X7.5".